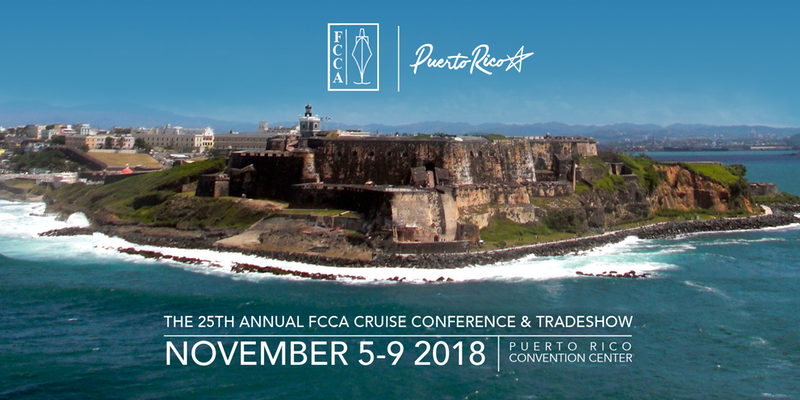 Registered Attendees and Delegates will have direct access to executives like Goldstein and the expected 100 representatives from FCCA Member Lines who decide where ships call, what products are sold and used onboard, and how to invest in destination products and infrastructure-all focused on developing mutual understanding and success. All participants can learn from workshops led by expert panels of executives and successful stakeholders, including a roundtable with chairmen and CEOs and topics concentrated on the evolving needs of cruise guests and cruise lines and how to maximize the opportunities from the fast-growing industry. All participants also can meet and mingle with executives at networking functions giving a taste of what Puerto Rico has to see, do and eat. And the event’s convenient location at the Puerto Rico Convention Center in the bustling Isla Grande will make it easy for participants and executives to let Puerto Rico enchant them. Plus, the new Delegate-level participants will have a chance to enchant cruise executives they pre-select for one-on-one meetings where they can give a pitch and receive everything from individualized input to business opportunities. Delegate-level participants will also enjoy premium features like the VIP Lounge, where executives also often lounge, and airport and event transfers. And the Trade Show will expand the target to capture the attention of the influential audience. Any booth will put a product, company or destination on participants’ and executives’ minds, but special pavilion options will make the greatest impact with grand sizes, prime locations and the opportunity to showcase a destination and/or company as a team and even host private meetings with high-level executives in the pavilion. Overall, the blend of business sessions and casual interaction will create the perfect forum to exchange information and industry trends, share ideas and proposals, and cultivate valuable relationships-and an expected ratio of about one cruise executive per 10 attendees will offer great odds to meet and gain insight from the prominent executives. For more information and registration, including a breakdown of the new registration types and benefits, please visit www.F-CCA.com/Conference. To inquire about a Trade Show booth, please contact TradeShow@F-CCA.com.